Shortly after WWII, the Swiss Army was in need of many more sets to completely renew their wireless equipment, then the Swiss radio industry could produce: from U.S. Army surplus, the Swiss bought sixty SCR-499/A based on the Hallicrafters	HT-4 transmitter (originally produced for the Amateur radio market), Antenna Tuner AT-3 in combination with Signal Corps BC-342 and BC-312 receivers. In the Swiss Army, the station's designation was SM 46 (Schwer = heavy / Motorisiert = motorized) and after the introduction of the new naming scheme SE-402. Hallicrafters HT-4, 2 - 18 MHz. 4,8 m whip antenna on vehicle. 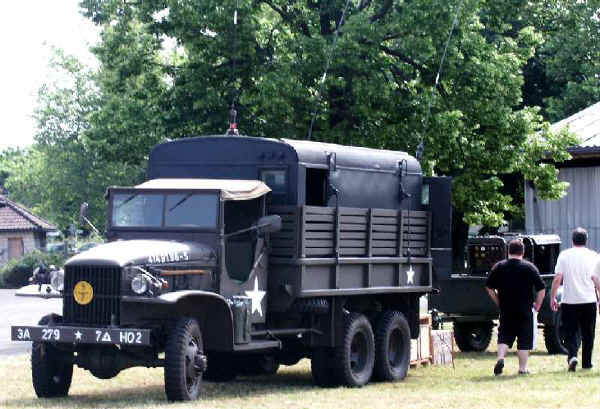 The complete 400W AM/ CW wireless station is built into a shelter on a U.S. Army 6WD truck, it can be powered by a petrol aggregate on a trailer just in case, there is no mains outlet nearby. Inside the shelter, in the middle is a bench as seat for the operator, underneath boxes with spares. 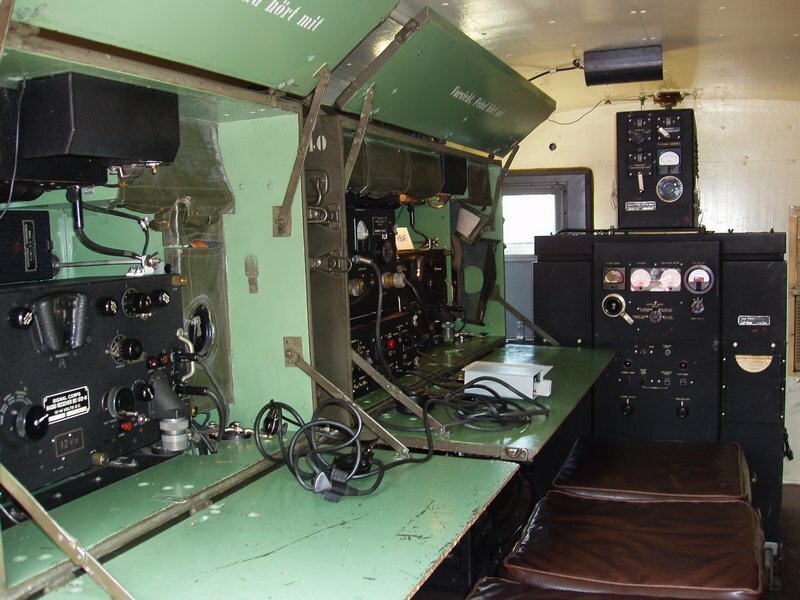 In front, You can recognize the transmitter with the U.S. Army designation BC-610-A, based on a Hallicrafters HT-4, on top of it the antenna tuner BC-939-A - also from Hallicrafters production (AT-3). In the chests at the right, spares and the tuning and antenna coupling coil sets for the different frequency ranges are stored. At the left hand towards the front of the vehicle, next to the transmitter, is the box CH-120-A, with a receiver BC-342, an amplifier BC-614-E, a speaker LS-3, morse key and switching / connector box	JB-70-A. 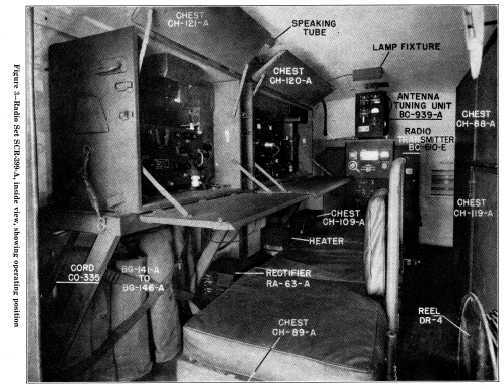 At the left hand in the back part of the vehicle in the box CH-121-A a second receiver, a BC-312, another speaker LS-3 and a morse key J-37. This set could be used powered from a 12V - accumulator CH-109-A as remote reception unit, from the remote location, the complete station could be used with remote control. On the roof, there are three antenna, at the front the five segment transmitting antenne, the two rear antennas are the receiving antennas. One of these stations is still in working order in it's original shelter on the original GMC truck, it could be seen (and the staff did do some amateur radio contacts) at Uster Day 2006 of the Interessengemeinschaft Uebermittlung (IgUem).